Because of the limited number of Insurance Provider Choices in Massachusetts, we have used a strategy of built specific strategies to settle claims in Massachusetts. "Global Patriot Adjusters LLC is a company birthed and built on the single goal of fanatically bringing every dollar deserved to clients from an insurance claim. We maintain the best reputation in the public adjuster business because we take every claim for every client as a project with personal ownership and accountability." We document your claim down to the very last item damaged item. It doesn't matter if it is 50 Cents of $500.00, we make it part of your claim. We deal with respect with your insurance company and adjuster, but we only represent you in the process. We speed the process of getting your claim submitted and settled in a favorable way. We don't leave you in the claim process, we handle it end to end. Our relationship with you will remain long after the initial Insurance claim process beings. We keep you up to date on our progress on your behalf. We keep your special circumstances in mind. This can mean health, housing, pets, and special family needs. Taking ownership of your claim, is personal, and we expect to handle special needs on your behalf to the insurance carrier just the same! We seek advances on most claims to help with the cash flow of repairs. We handle Loss of Use and Additional Living Expense (A.L.E.) Claims. These claims can help to make you comfortable during the process of the claim. They must be handled with speed and proper pre-approvals we negotiate with the carrier. We handle even the smallest of claims because a small loss is just as much of a challenge for owners at times than total destruction of property. We are seeing a quick rise in Ice Dam Damage as the harsh cold gives way to more normal coldness. "Ice Dams damage happens in the most elusive way! Most of these claims get larger by the minute because owners don't know they are having the issue until it has caused a great deal more damage. For some reason, Ice Dam Damage Insurance Claims require us to stand tall for property owners... insurance companies tend to pay far too little for these claims before we do our pushing" Marc Lancaric - Public Adjuster & President of Global Patriot Adjusters, LLC. Learn more about these types of claims here and call on us if Ice Dam Damage visits your business or home. Global Patriot Adjusters settle Ice Dam Insurance Claims Quickly. Hiring a Public Adjuster Right After Damage Occurs! Why? Avoid the Pitfalls of going it alone. Reduce the headache and stress of dealing with the insurance carrier. We are only paid our percentage of the claim for the dollars we collect for the property owner/insured. When we review your claim, we will be able to find every aspect of your policy that can be accessed for your claim. Your insurance adjuster will generally not look at your claim the way we look at a claim as your Public Adjuster. Contact us 24/7 for quick action on your claim 800-654-3041. Overhead and Profit is justified on any claim that shows the need for “Coordination and Oversight”. Overhead and profit are used by every general contractor. It is part of the business practices of all general contractors and many subcontractors. It is the cost of doing business and the designated profit for doing the business. 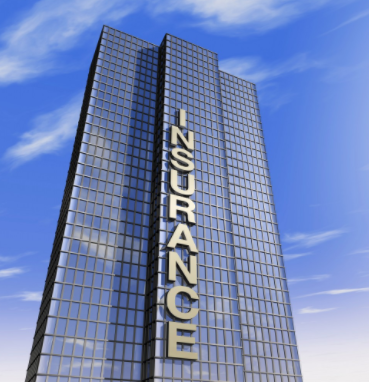 Your insurance carrier will often assert that your claim does not merit this payment. We recently had a client in Massachusetts that received a $240,000 settlement for a commercial claim. To repair the damage to the properties required a well-qualified general contractor who agreed to do the repairs for the amount the insurance company was offering. The base costs was just over $240,000. The overhead and profit added another $48,000 to this total and would be the total responsibility of the owner. This project more than qualified for overhead and profit based on the need for coordination and oversight. We brought careful insight to this claim and settle the claim for the full amount needed to pay the contractor. We at Global Patriot Adjusters are proud of our capacity to bring truth to power. Contact Us for quick action on your claim 800-654-3041.